The world fell in love with her in the movie. 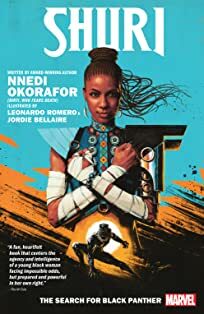 Now, the Black Panther's techno-genius sister launches her own adventures — written by best-selling Afrofuturist author Nnedi Okorafor and drawn by Eisner-nominated artist Leonardo Romero! The Black Panther has disappeared, lost on a mission in space. And in his absence, everyone's looking at the next in line for the throne. 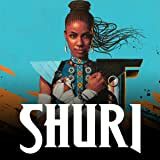 But Shuri is happiest in a lab, surrounded by gadgets of her own creation. She'd rather be testing gauntlets than throwing them. 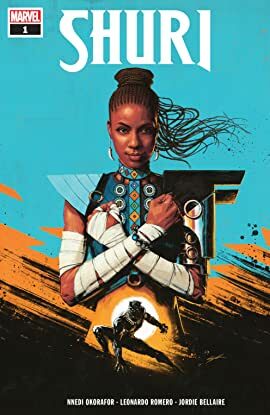 But a nation without a leader is a vulnerable one — and Shuri may have to choose between Wakanda's welfare and her own.